Hi loves! 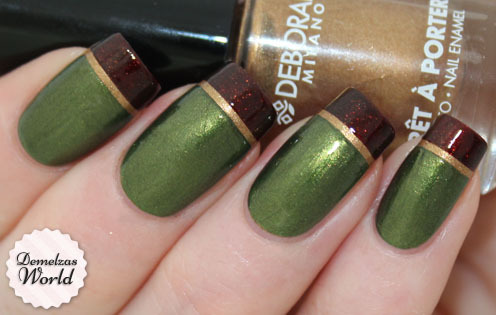 I’ve made a new tutorial for the Deborah Milano Beauty Club! I wasn’t really in the mood for some bright colors because it was raining a lot here in The Netherlands so I decided to use some classy colors! WOW, this mani is gorgeous!!!!! Yeah I love those classic colors 😀 thanks babe!